Below is last night’s weekly Ocean City painting. Behind my laundry mat, there is a supermarket. The food is fresh and well priced. I would not know about this food market if it was not for my need to go on walks as my clothes dry. The store is called “Gokul: Indian Supermarket.” It is a beautiful building. Secret Supermarket. Watercolor and ink on paper. 6″ x 7″. 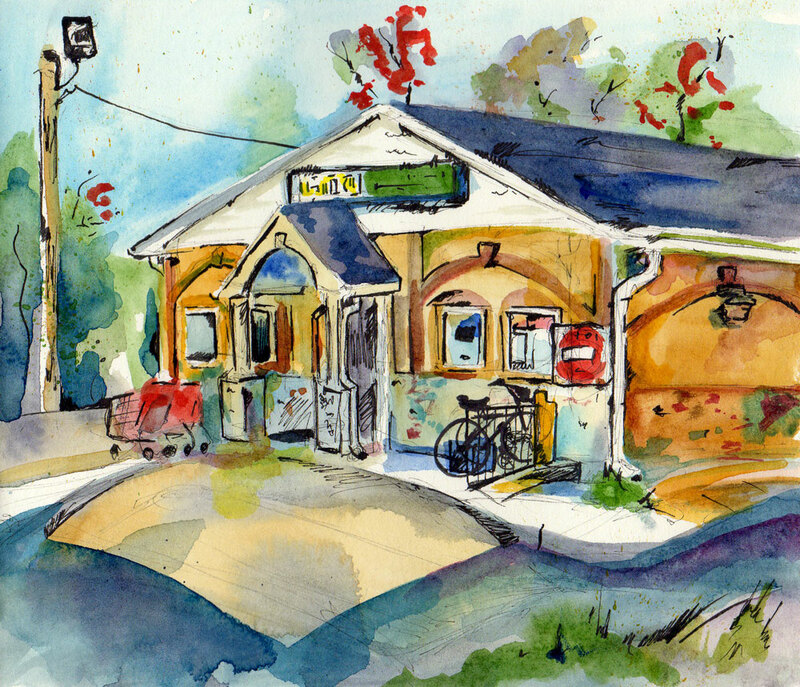 This past month, some of my small watercolor works were on display at Grooveground in Collingswood, NJ. 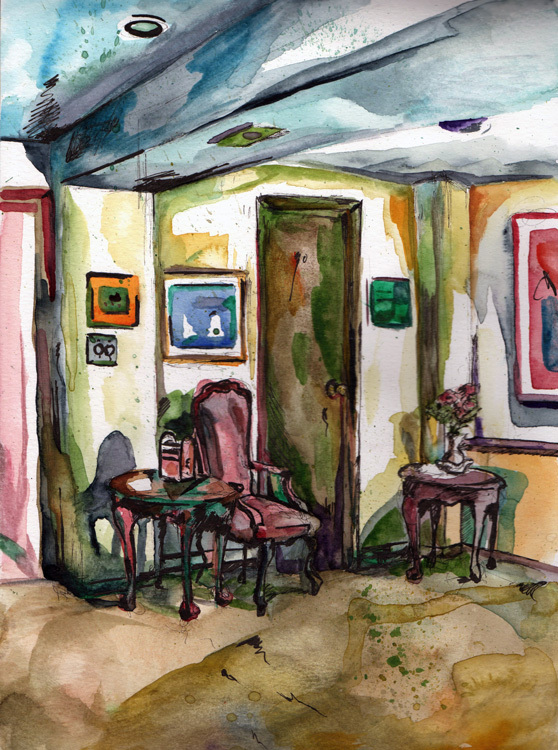 To commemorate the occasion, I painted this wet sketch of Grooveground’s interior. Yellow and blue make green. Green Core. Watercolor and ink on paper. 11.5″ x 8″. 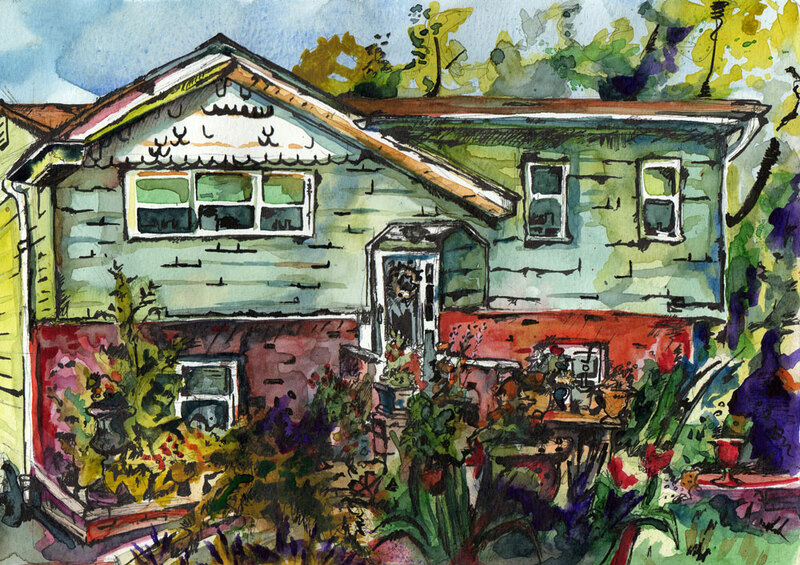 This adorable home is my last plein air painting of the season. Le Lapin. Watercolor and ink on paper. 9″x12″. I’m quite fond of my most recent commission. 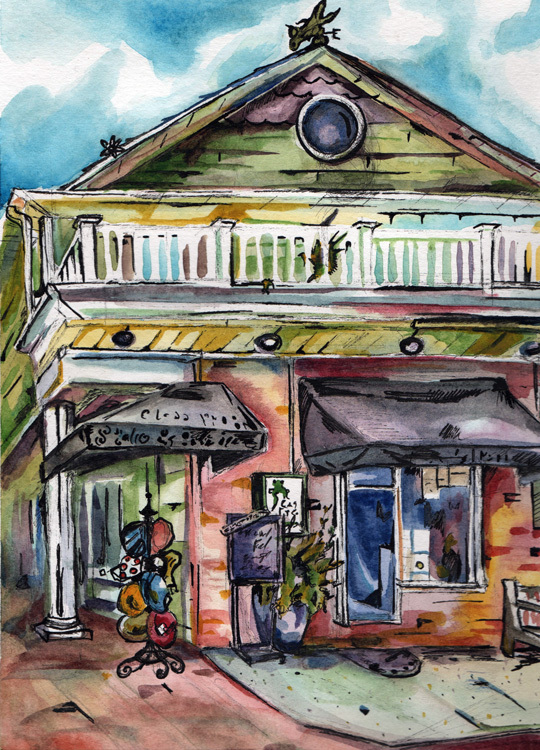 Below is a watercolor and ink painting of Glass Frog Studio and Boutique in Ocean City, New Jersey. La Grenouille. Watercolor and ink on paper. 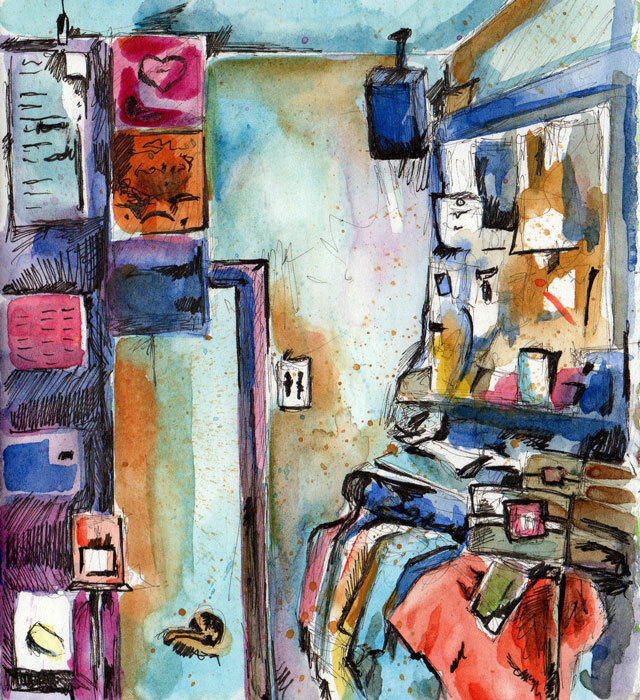 9″x12″. 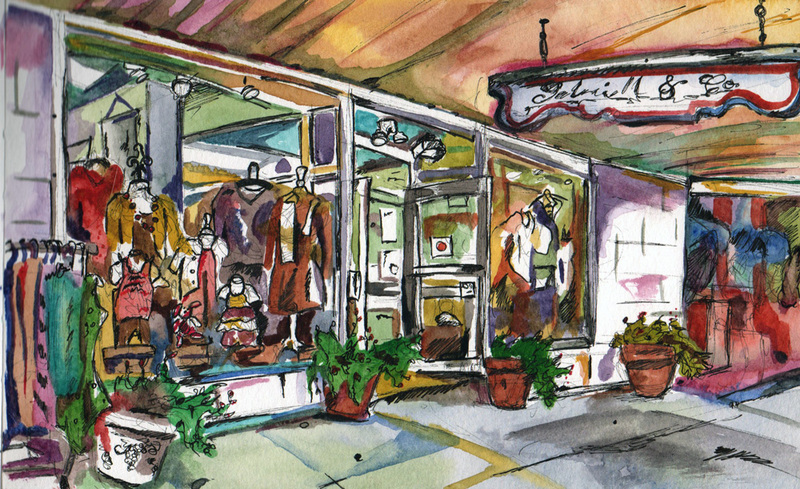 For my last plein air painting in Ocean City, NJ this summer I painted Gabrielle and Co.‘s store front. As their slogan says, the store is a “fabulous collection of beautiful things.” If you’re ever in Ocean City I suggest checking it out. Also, a new branch has just opened up in Hammonton, NJ. Stop by and say hi to Julie for me. Gabrielle and Co. Watercolor and ink on paper. 8.5″ x 5″. 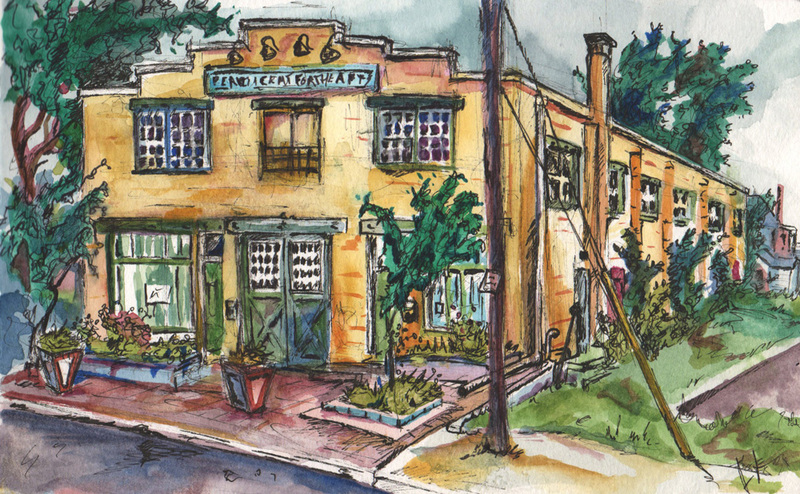 Every August, Perkins Center for the Arts hosts a rendering contest. 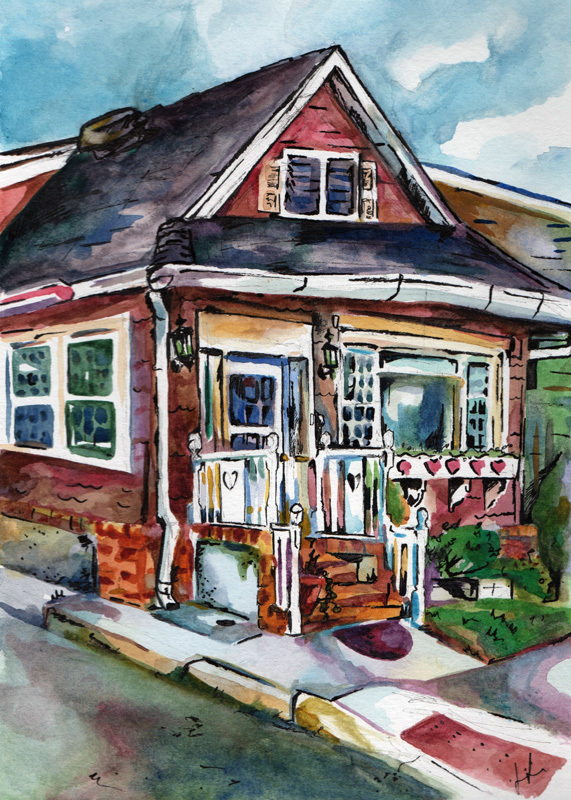 A building in Collingswood, NJ is chosen to be drawn. This is the third year I’ve participated in the competition. I am very thankful for this yearly opportunity to publicly paint with other artists in the area. 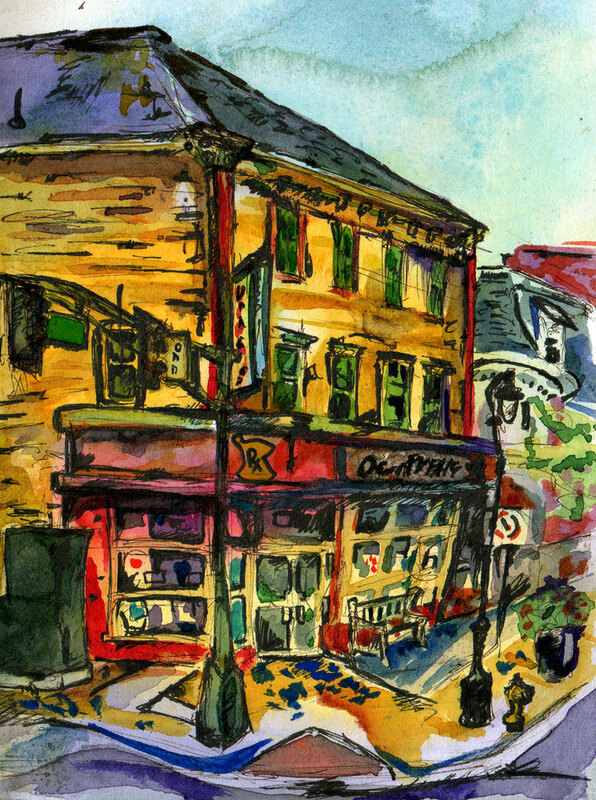 The first year (2008), I made this painting of a church on Haddon Avenue. Last year, the chosen building was the Collingswood PATCO station. 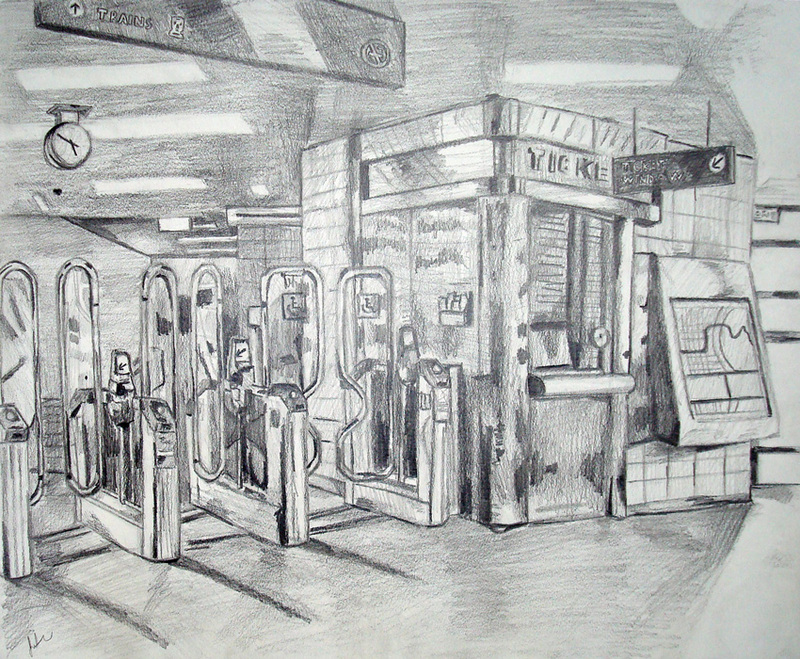 My pencil rendering of its interior received second place. This year’s building was the Perkins Center for the Arts. I chose to work in the watercolor and ink pen style I’ve been experimenting with all summer. Yesterday, my piece won first place in the painting category. 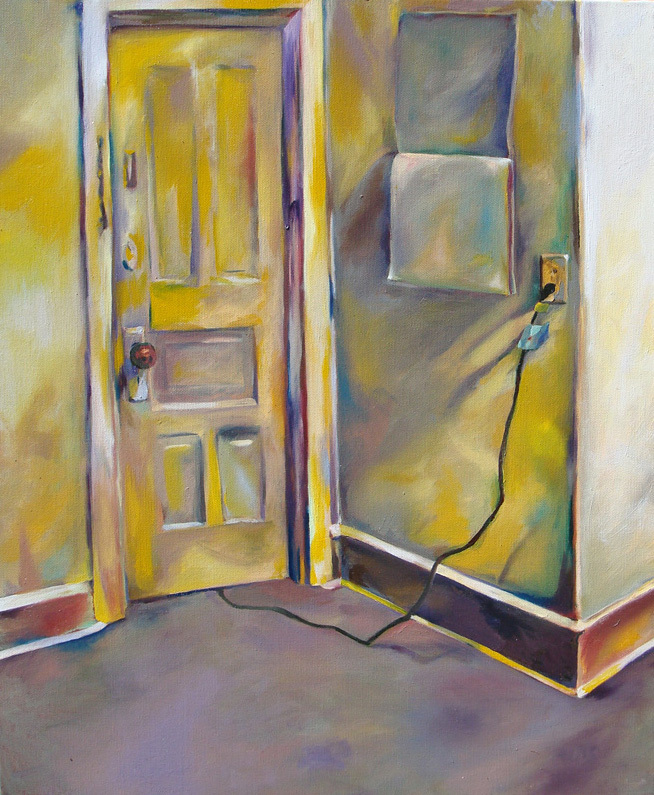 This painting was completed almost a year to the day it was started. Remember this post? April to April. Oil on Canvas. Approx. 16″ x 24″.